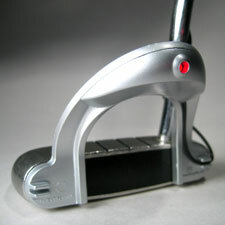 The Laser Putting Alignment System (LPAS) is a laser training aid for golf putting which gives the user instant feedback on targeting, clubface orientation, and the ball impact zone. 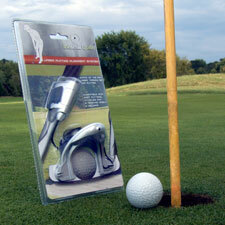 It is compatible with most putters and is attached and removed in seconds. 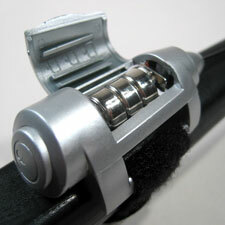 The laser attaches to the putterface and the control switch attaches to the base of the grip. Conceived by thesmartgolfer, Grand Idea Studio contributed to the LPAS electrical design.